See those jars of color up there in the window? Those are jars of pure pigment, and when combined with binder and mulled they’re transformed into watercolors. I was lucky enough to take a workshop with Alexis last year and learned how to make watercolors — you can find out more about the workshop and see more photos here. If ever you have a chance to take a workshop you totally should. I keep raving about their awesome watercolors over on instagram and I get questions allll the time about them, so I thought I’d do an interview with Alexis so that you can learn more about CFM and come to love them the way that I do. 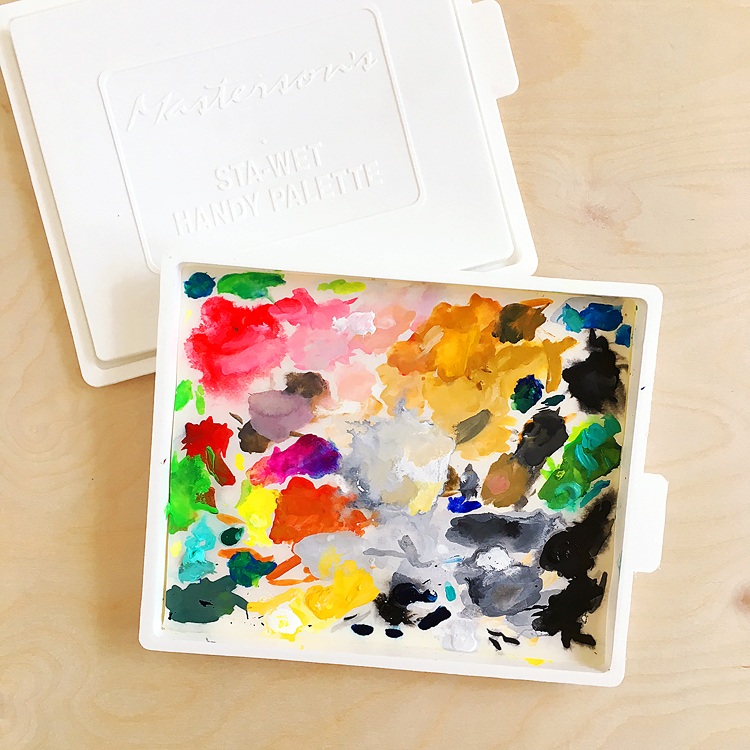 Note that I’m not affiliated with Case For Making in any away — just love their watercolors — they work like a dream and they have colors I haven’t seen anywhere else. Plus the folks who own the shop and work there are so generous and kind and I love supporting them. sideoats: How did you start Case for Making? Alexis: The shop is located in a building that I have shared with friends since 2010 and has been used for various projects and exhibitions since. 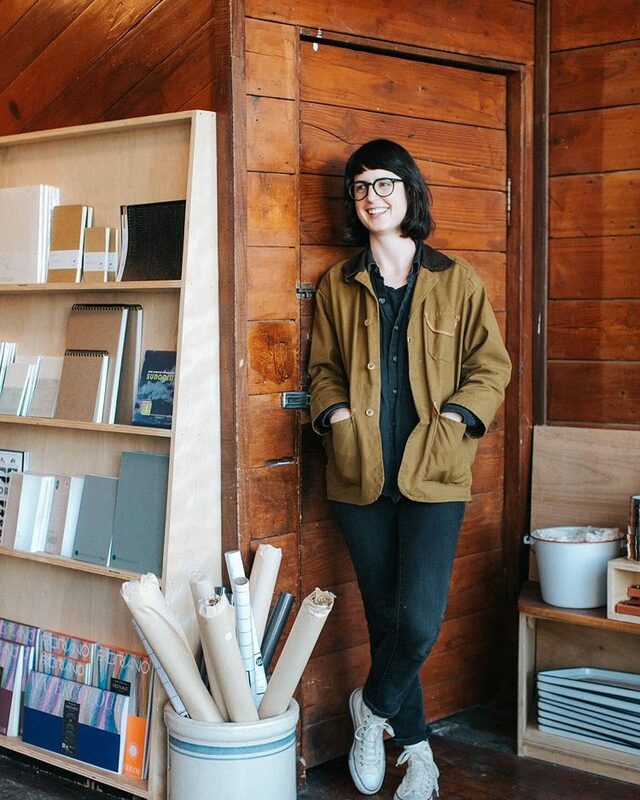 In 2014 we renewed the lease and felt strongly that there should be a permanent storefront–I decided to take this on. When I started Case for Making I was still working a full time job. It took me three years in order to get the business (and myself) to a place where I could work full time only for Case for Making. It all took time and hard work and trusting myself to make decisions quickly. All in all, I had to learn how to get good at seeing what was working, and letting go of the things that weren’t. sideoats: How did you get into making watercolors? 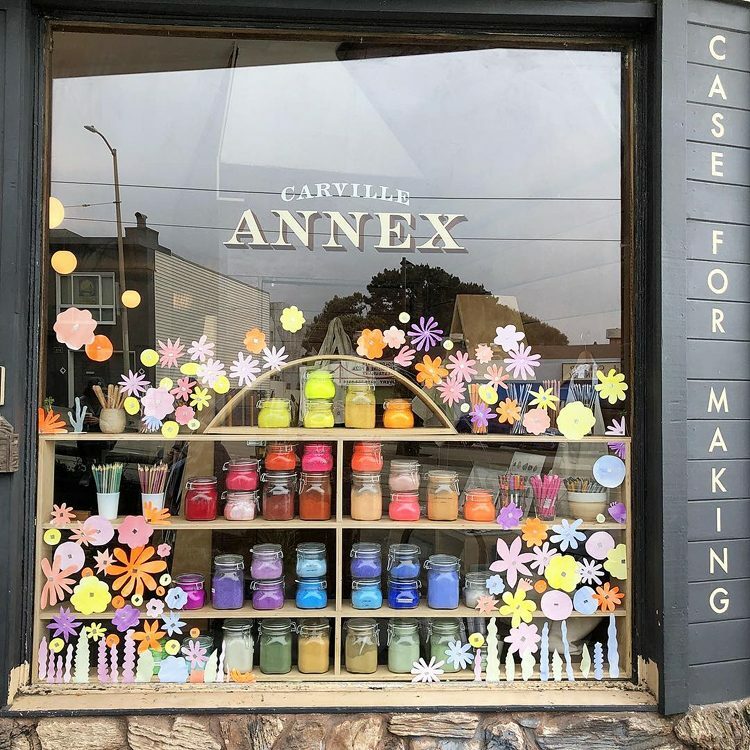 Alexis: I stumbled into a hardware store in Berlin, Germany that specialized in plaster work–they had a display in the window of jars of pigment and inside was a bulk section devoted to pigment! You could literally scoop out colorful pigment and put it into kraft paper bags and weigh it and pay for it by the kilo!!! I was enamored and spoke to a man there who was buying pigment to make paint to paint the inside of his Berlin apartment and then I bought a kilo of ultramarine blue and bought it and asked the owner a million questions. When I returned home to the US I figured there had to be places here to purchase pigment so I began my online hunt. 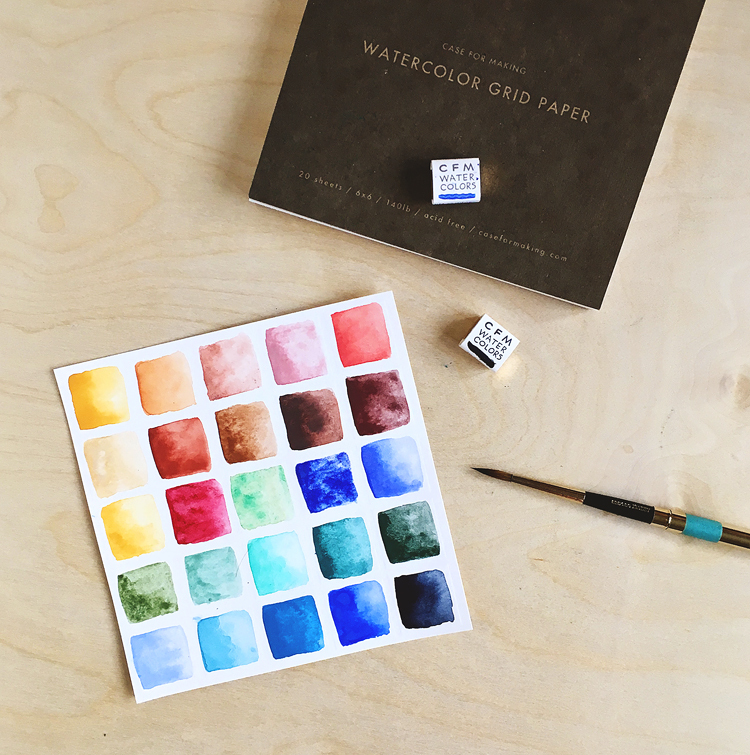 I kept finding Kremer PIgment’s website and found it to be so helpful and one day saw they had watercolor paint making workshops and almost fell off my chair! I didn’t know you could make your own paint let alone watercolors!!! I’ve always loved watercolors and kept coming back to them throughout college where I was in Architecture school and then again in Graduate School. I ended up going to New York to learn how to make Oil Paint and Watercolor paint and I just kind of fell in love with it! 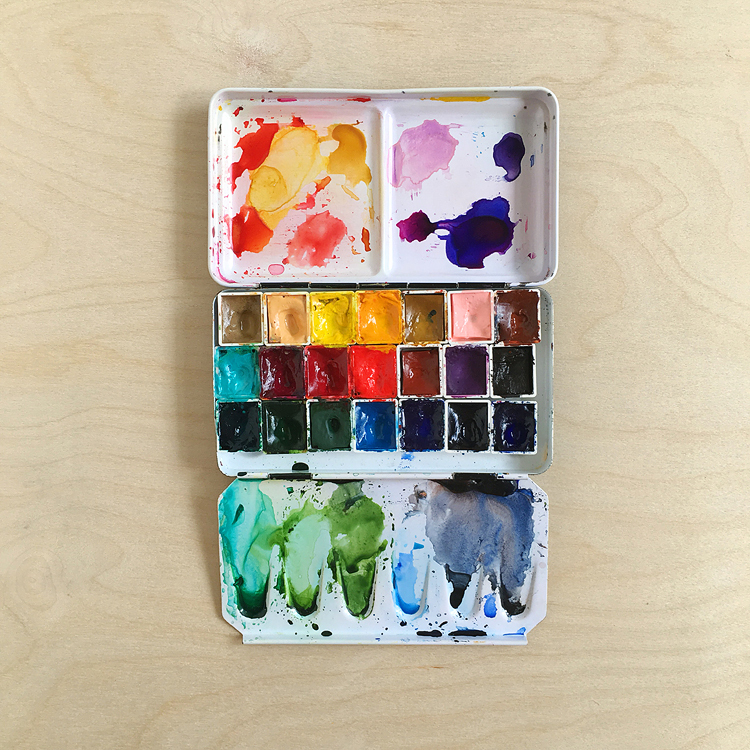 sideoats: What makes handmade watercolors different from commercially made ones? Alexis: Just like when you make anything yourself you are in complete control of all the ingredients. We only use pigment and natural binders to bind the pigment so our paints are very rich and saturated. Many commercial companies end up putting fillers into their paints to extend the pigments. sideoats: What color is the easiest to mix up? Which is the most finicky? I remember during the workshop how you said they each have their own personalities — so true! Alexis: Venetian Red and graphite are both very easy to mix up. Yellow Ochres and Green Earths tend to be very difficult and chunky. They’re all so different! sideoats: What’s your favorite to paint with? Alexis: I love painting with indigo, venetian red and french vermillion! We love all of our customers so much and we get all sorts of people visiting the shop! We have people who follow us on Instagram and plan to visit the shop while they are here on vacation and we have neighborhood artists who get all their supplies from us. We also have lots of people stumble in who’ve never heard of us and they’re excited to try out some pens and hang out for a bit! 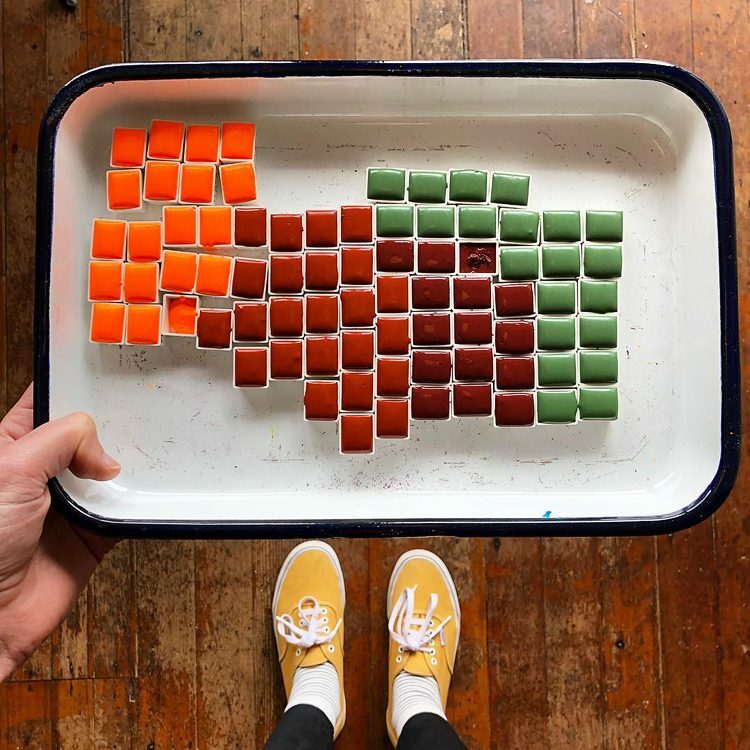 Everyone who walks in is generally pretty happy to be in an art store and we love talking to everyone about the products we make and how we produce our watercolors. We also yell at anyone who comes in and says that they wish they were artistic; we say, “EVERYONE IS ARTISTIC!” Can you make a mark on paper? Fine then, make that mark over and over on a piece of paper with a pen or a pencil or with a brush and watercolor and see what you can make just with that! YES! I totally agree! Everyone IS artistic. ‘nuf said. 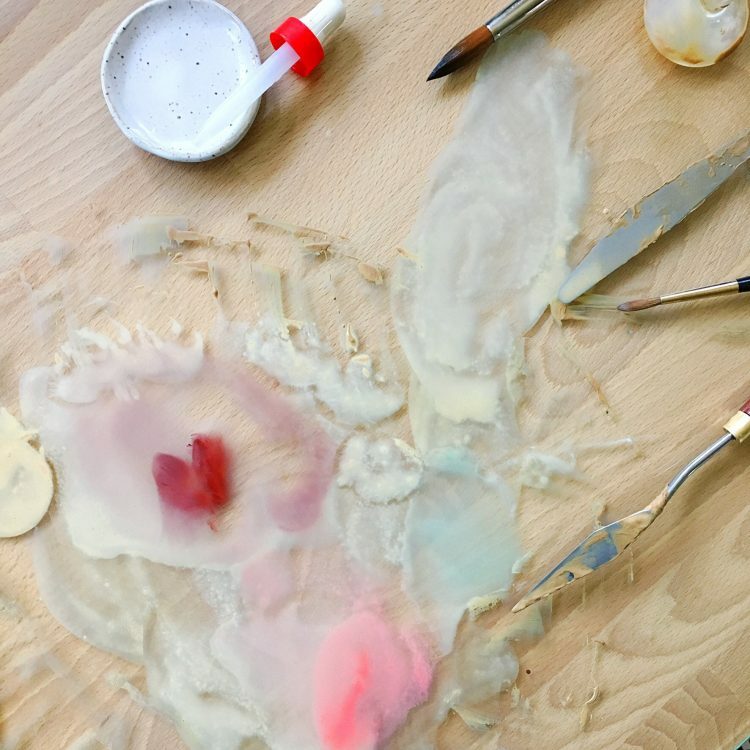 Making French ochre extra light at home — that lil heart just randomly appeared there as I testing the paint/mixing it with other colors. Case For Making also has their own line of watercolor papers, plus they carry handmade ceramic watercolor palettes, brushes, sketchbooks, pens, pencils — all kinds of cool art supplies you just don’t find anywhere else. And there’s a coffee shop next door with The Best cinnamon toast! Seriously the best. Thanks so much for taking the time to write this post!! What a treat to read this interview, Lisa! Now I wish I could be in SF again! 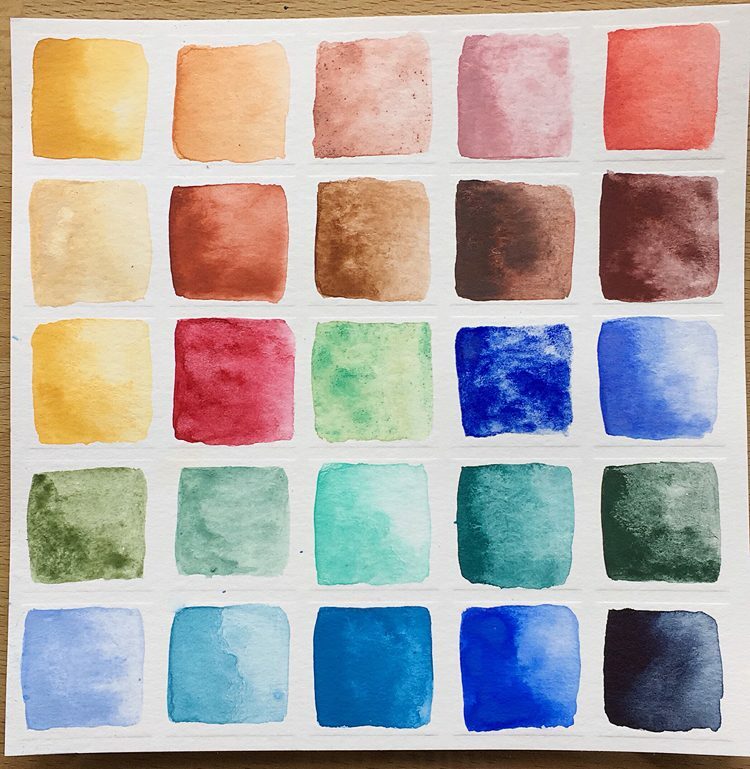 Your watercolor swatch looks amazing! LOVE!